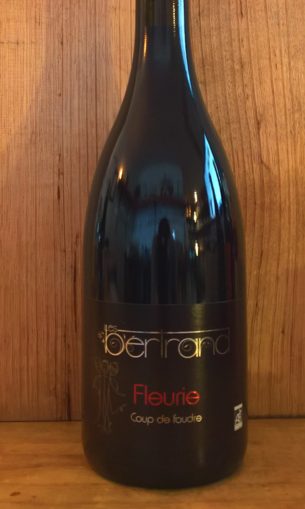 2015 Bertrand 'Fleurie Coup Foudre' Gamay. Fleurie-Beaujolais-FRANCE. Yann Bertrand, at the age of 26, is producing some of the most sought after wines from Beaujolais and is spoken of as the one to watch. Understandably so with mentorship from Jean Foillard, Yvon Metras (he is best mates with their sons) and Jacques Neauport, right hand man to Jules Chauvet. The estate comprises 7.5 hectares in Fleurie & Morgon all certified organic since 2000 with conversion to Biodynamic in 2013. This cuvee is made from 100% estate-grown fruit.